The AchilloTrain Pro Achilles support combines the best in German medical engineering and medical-grade compression to provide you with added stability and pain relief of the Achilles tendon. 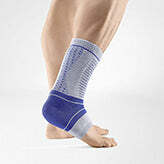 This ankle support features a unique wing shaped pad which massages your muscles and tendon every time you move, helping to reduce inflammation and pain. The AchilloTrain Pro is longer than the standard AchilloTrain to provide additional support further along the tendon. The AchilloTrain Pro is ideal for Achilles tendon pain, heel pain, heel swelling, pump bump, heel bursitis (retrocalcaneal), Haglund's deformity and Achilles tendinitis. Its unique 3D weave is moisture wicking and provides all day comfort. 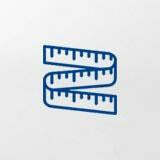 Pressure-reduced edges – Ensures comfortable fit without constricting movement, bunching or slipping. Improves circulation. 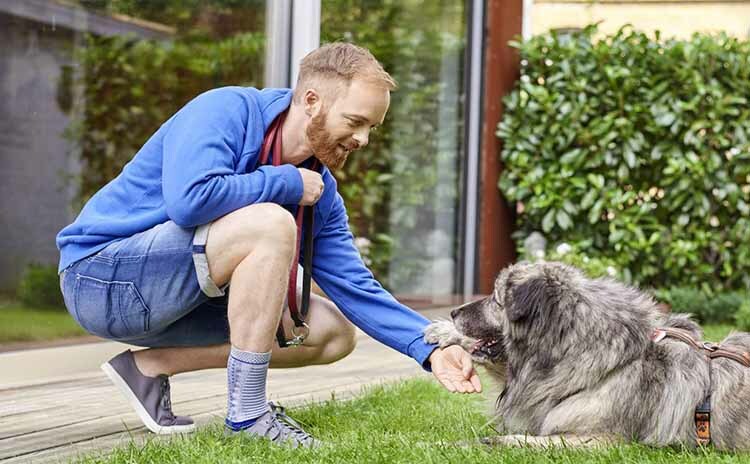 Longer length – Sits higher up the calf and supports the upper muscles, tendons, joints and nerve endings. Winged massaging inserts – The upper third tendon and area where the muscle meets the tendon, as well as nerve endings, are stimulated by two wing-like massaging inserts. High elasticity – Makes the support easy to put on and take off. Stretchy knit material – Conforms to the natural shape of your body. The breathable fabric draws sweat away from your skin and is machine-washable in the gentle cycle, which helps maintain its elasticity and original fit. Universal - Same version can be used for the right or left foot. A perfect fit means faster recovery and improved performance. 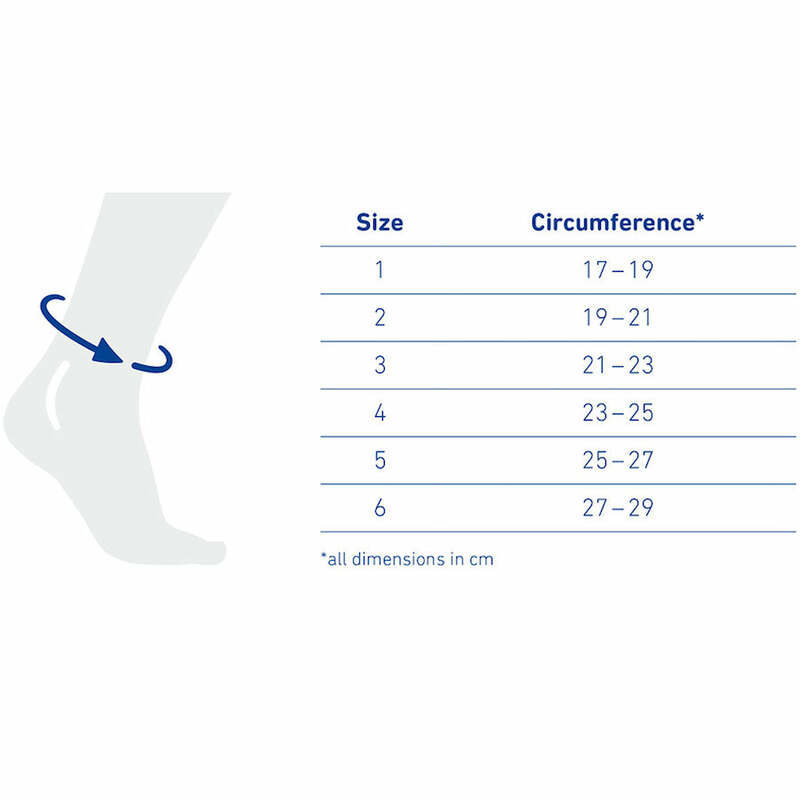 You will need to measure the circumference of your ankle with a measuring tape. Measure the circumference of your ankle at it's narrowest point. AchilloTrain Pro should feel snug and firm around your ankle but not constrictive. All Bauerfeind ankle braces have a 1 year warranty and qualify for our 30 day size exchange policy. I purchased an ankle support to help with a painful Achilles tendon that I just could not get right. It worked a treat and by wearing support I achieved a full recovery. My recent purchase of an ankle support was for my 12-year old granddaughter who also had a strain to her Achilles tendon. She is an active ballet student who does over 15 hours dancing per week. Her ankle meant that she was not able to dance. With a little rest and by wearing the ankle brace for a week or so, she is now back to her ballet. Great product. I wear it everyday.